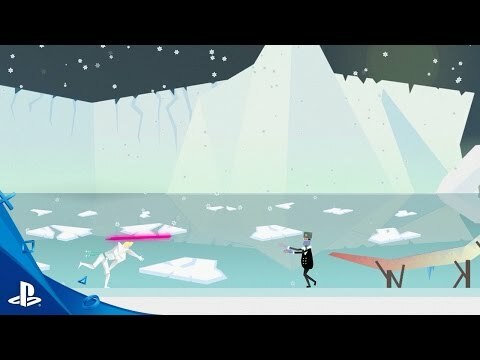 Need an awesome trailer to show off your game? Say hi to Cowabunga Industries! @MattMac and I are super excited to share the news of our latest business venture, Cowabunga Industires! This is a spin off to our existing creative studio, Cool Your Jets. We've created Cowabunga Industries as an entity purely dedicated to creating bodacious content for game developers, primarily focused on making killer game trailers. Since becoming involved in the South African game development community in 2014, Matt and I have had the great pleasure of working with different community members on various projects. We thoroughly enjoyed these collaborations, and, identifying a deficit in people making quality trailers locally and abroad, decided to start up the new studio to help full that gap, and satisfy our own burning desire to make more and more awesome videos for games. Our debut outing under the Cowabunga Industries banner as a recent public service announcement, designed to encourage international devs to visit us and work on their games in Cape Town. I'll do a separate post to share this spot. Prior to this infomercial, we created various game related videos as Cool Your Jets, which you can check out on out website. Our deepest thanks to Made With Monster Love, QCF Design, Free Lives and Clockwork Acorn for all believing in us, and helping us get to the point where we can make a dream like Cowabunga Industries a reality. We're currently completing trailers for clients in Germany and Denmark. We'd obviously love to be working some South African creatives in the near future. If you need an eyeball-melting, mind-bending trailer for your game, drop us a mail through info at cowabungaindustries dot com! We're incredibly excited be setting off on this journey and look forward to working with as many different game makers as possible! I'm dropping by with a bit of an update from Cowabunga Industries! 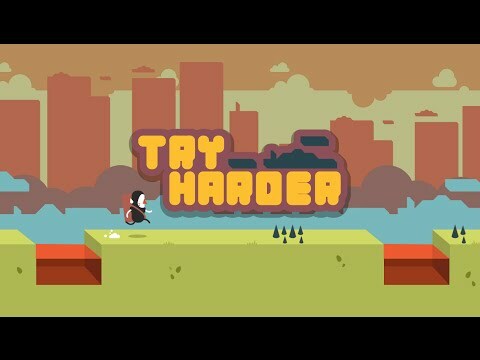 Today I'd like to share our latest trailer; one created for our friends at Glitchnap, and their game Try Harder. Designed to celebrate the launch of the game on Windows, Mac OS X and Android, we had a lot of fun putting together this high energy spot. We're very proud of the end result. In other Cowabunga news; we've set up a twitter. Follow us here! We're super stoked to be sharing our latest trailer - here's Lichtspeer! We absolutely loved working with Lichthund on this piece. Their direction for the trailer, and the game itself really resonated with @MattMac and I. We had a blast bringing their vision of a lost VHS cassette from the future to life. We're mega-happy with how the final trailer came together. It's been really great to see how positive the response to the trailer has been, on twitter, youtube and the playstation blog. In other Cowabunga news, we've set up a facebook page. Follow us here! In an effort to be less crap with social media things, we've recently set up a facebook page. Like us on there, or follow us on twitter for some sporadic updates of our adventures making things for games. what a sausage fest - Lichtspeer trailer was very gud ja - you have my german seal of approval. Thanks @Mexicanoppiumdog! See you at A MAZE right? @BenJets Well done I really like your trailers! Seems like they all fit the specific game perfectly! Haha I know what it is like to be crap at social media! Thanks @karl182 - good to hear! More on the way soon; hope you like them too! And social media right?! Really not something I like being forced to do, but it seems like there's no way around it these days. We've got a few really exciting projects in the works over at Cowabunga Industries HQ. I'm itching to be able to share them with the community, but while we wait to wrap things up, I figured I'd share a few of our older projects over the next while. I'll be sharing these projects for posterity; collecting everything we've done so far. As some of these projects were made to support South African games and studios, wherever possible, I'll be sure to link back to the original MGSA thread for each project. To kick things off, I'll share the first game-related project we worked on (then under our main animation studio, Cool Your Jets). 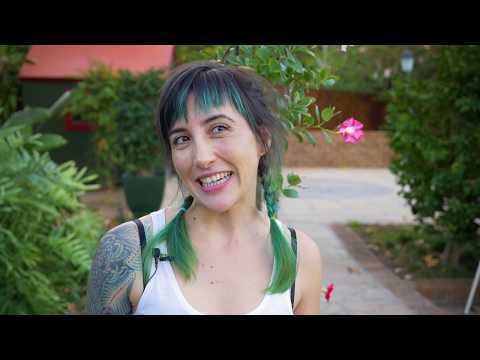 In January 2015 we were approached by Made With Monster Love to assist on putting together a Kickstarter video for their musical puzzle game Cadence. At this point, the idea of Cowabunga Industries hadn't even been born yet, but we were super happy to get an opportunity to combine our animation and video skills with our passion for indie game dev. What's more, it was a total bonus getting to work with our friends, and help support fellow South African developers. The MWML team had a clear vision of what they wanted to get across in the trailer. Not needing to worry about what was being said specifically bought us a lot of time to just focus on getting the video looking and sounding great. A personal highlight for me was getting to use Unity to play around inside the beautiful world of Cadence, getting to integrate titles into the game world itself, and animating a bunch of cool examples of the game in action. I'm still super proud of how this turned out, and look back on this project as an awesome first step in us setting off on our Cowabunga Industries adventure! Hi! Checking in with a new project our team animated. 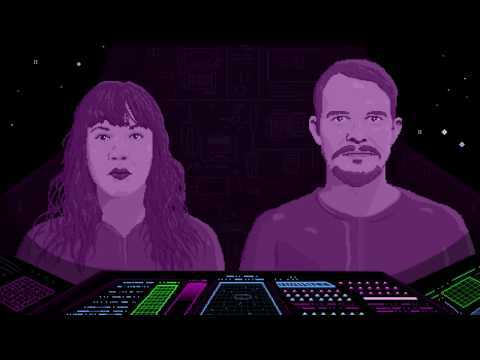 Not a game trailer, but definitely game inspired; here's our pixel art music video for "Suburban Dreams" by Academie! very circa space quest. loved it. @BenJets Wow! That video of "Suburban Dreams" is insane good. It must have taken ages to produce? I had to laugh at the plate of capsules/tablets being delivered as a meal. What tools and processes are involved in creating such a wonderful work of art? Haha, thanks @FanieG! The Space Quest games were amazing. It did take ages! It was animated over the course of 8 months between three of us, with two months of help from an intern over that period. We started and completed a bunch of other projects in this time, but over those 8 months would spend free time on this music video pretty regularly. The tools used were quite simple; mostly Photoshop and drawing tablets. Once we'd figured out the concept we started out creating a normally illustrated storyboard. We then edited that over the song to create an animatic. From there, we broke everything up into shots and got to work creating pixel art versions of each. We referenced the storyboards, photos of the band members acting things out and shots of the old Honda Ballade. Once we had a shot illustrated we'd start working on drawing images sequences for anything that needed to animate. After we had all the illustration and animation of a shot covered, we'd sequence all moving layers in after After Effects. From there we'd render each shot out to a video that we'd pull into premier to handle the final edit of the music video. 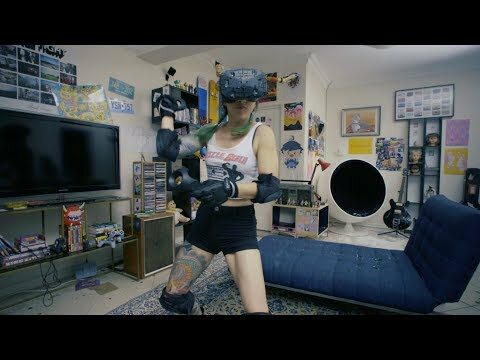 Our latest creation, an official gameplay trailer for Free Live's brutal gladiatoral VR explosion, went live this week! I had a total blast capturing the hours of footage that went into this trailer, and had an equally great time cutting it down into it's final form. We're currently busy on a little something to coincide with the game's upcoming Early Access launch! Watch this space! Haha, suitably dramatic stuff - nice one! We've got some fresh magic dropping next week! While I'm waiting to share that, in the interest of making this thread a comprehensive collection of Cowabunga's output, figured I'd share an older project. 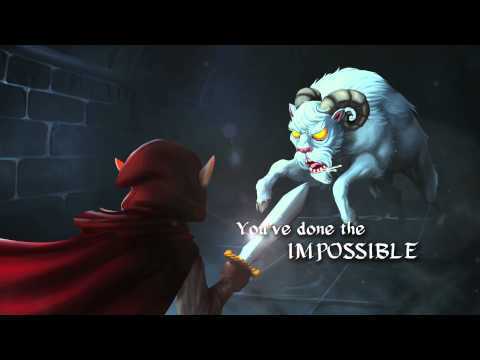 Here's the Desktop Dungeon's Enhanced Edition trailer! It was a great experience working with the QCF team on this. They supplied us with all the beautiful illustrations that we animated into the title shots - I had a great time working with these and was very happy with how they came to life in motion. At the start of the project, QCF mentioned that with previous trailers it had been tricky to integrate gameplay and make it feel fun and engaging. While DD is super rewarding to players, it's not the sort of spectacle-driven, visually-overwhelming game that would typically make for a good gameplay trailer. This was something we tried hard to work around, making sure that gameplay felt varied and dynamic, and presented viewers with simple action sequences that they could easily follow. I was super happy with how these gameplay sections came together in the end, and even more stoked by how everything came together in the final trailer. This was the very first trailer we did, so I guess you could say it was the catalyst for us wanting to keep making trailers! 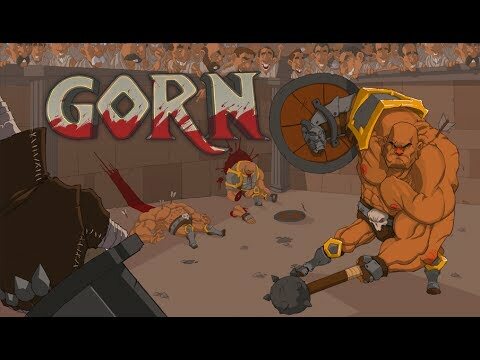 This one already appeared on the game's official thread, but in keeping this as comprehensive collection of Cowabunga's output; here's the launch trailer that we made for South Africa's greatest, ultra-violent, gladiatorial VR title; GORN! While mountains of effort went into the live action shoot, the recording of in-game footage also proved to be very time-intensive; the most extensive of any Cowabunga trailer to date! Ruan and I spent a solid day recording test clips; playing around with the game and seeing what sorts of tools we'd need to set up to get the desired final footage. 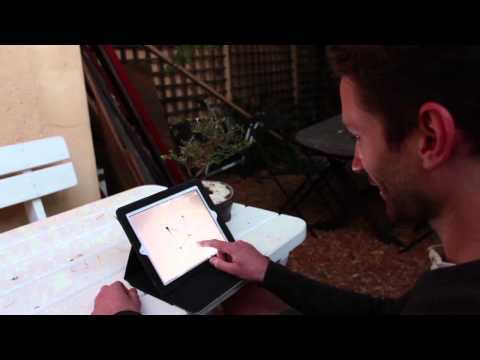 Ruan then worked his magic, implementing tools that'd allow us camera and time controls. Once that was in place, we spent two days recording in game footage. In total, between the live action and gameplay recordings, we landed up with 10+ hours of footage. Pretty major overkill for a 1 minute trailer, but I think having so many different takes and variations on all the action made the final product as awesome as it is. The editing process was, as you might guess, quite a beast to work through, but it was super satisfying seeing how the real world and VR footage married together. @mattmac handled titles and animation from our side, working alongside Free Live art wizard Marcelle Marias. The final touch was the music and sound effects. The trailer was scored by Deon van Heerden, who was a total dream to work with. @Jaysong from Free Lives did a bunch of sound effects and audio mixing before handing the project along to Deon and his team who added the final sound effects and audio mix. Start to finish, this project stretched out over several months. At each step, it was an absolute pleasure working on it and collaborating with so many great humans along the way. I couldn't have been much more stoked with the end product and it was incredibly encouraging seeing how well the trailer was received once it was released. Would GORN again! Been neglecting this thread a bit, but gonna make a point of sharing some of our projects from time to time! 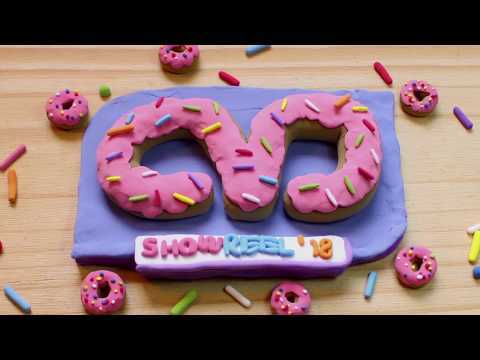 For now, while we've not yet made a dedicated Cowabunga Industries reel, I'm stoked to share the new showreel for our animation studio, Cool Your Jets! Featuring some of our game trailers, and promotional projects for Free Lives, this is a huge mix of work we've done in the 4 years since we released our last reel. Had heaps of fun on the edit, as well as crafting all the different bits of animation that came together for the intro. Looking forward to making a reel of all Cowabunga work sometime soon! 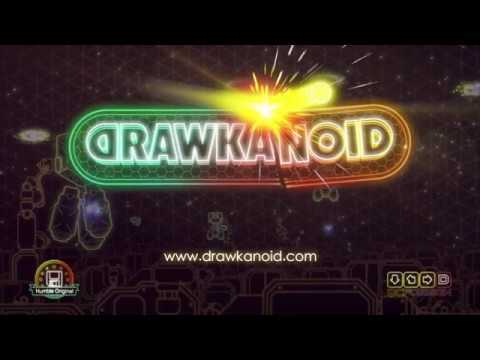 We recently had the great pleasure of working with @dislekcia on the reveal trailer for his awesome action puzzle gem, Drawkanoid. QCF approached us with a super clear vision for the trailer. This was a rare treat for us; in general, the hardest part of any trailer is coming up with the hook and angle that we'll be building the spot around. This time around though, Danny knew exactly how he wanted to present the game, the song he wanted to use. After looking through the gameplay he recorded, we had a good session discussing the trailer, listen to the song and brainstorming the final execution. We brought the idea of glitchy graphics and cuts to the table and once everyone was happy with the plan, jumped into production. The trailer had to be cut together in record time, but given all the rock solid planning things came together like a dream. This was easily one of our favourite projects to work on, and the end result is one of our favorite Cowabunga Industries trailers. Check it out! Haha! Thank you @PS89 - appreciate the encouragement!